The Eizo RadiForce LX470w medical display monitor is ideally suited for viewing DICOM X-ray images or serving as a repeater monitor in surgical environments. A wide range of input and output signals, the combining of pictures, and pre-calibrated gamma models permit tailoring the monitor to multiple specialties. The fanless design and the waterproof, easy-to-clean front panel enable usage in sterile hospital environments. 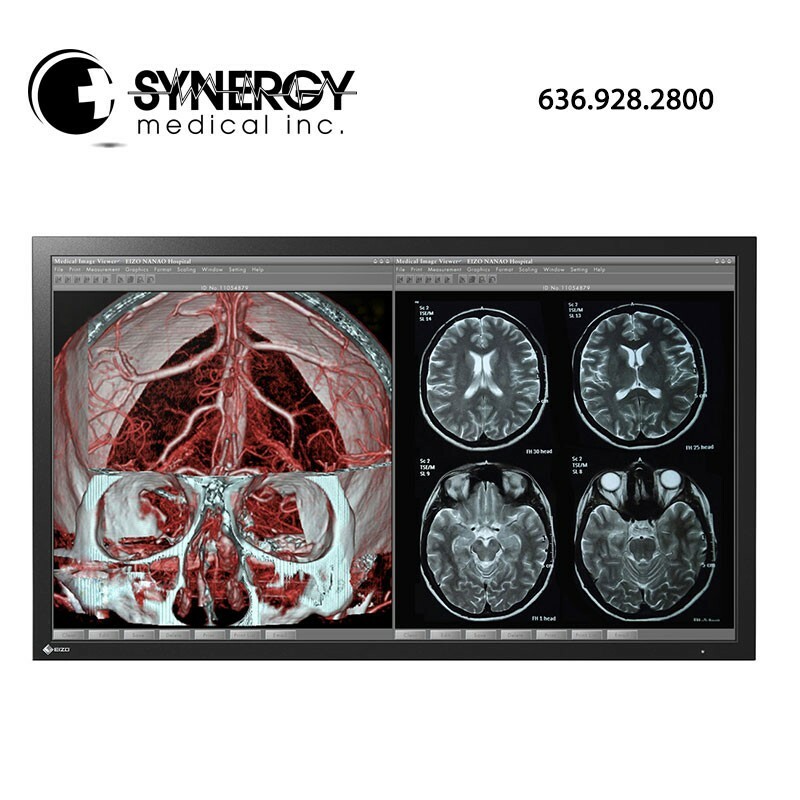 With a native resolution of 1920 x 1080, the Eizo RadiForce LX470w medical display monitor can display original, full HD images in 1920 x 1080 resolution without blurring or distortion. Thanks to the wide viewing angles, images can be viewed simultaneously by several people with the highest quality reproduction and minimal color shift. EIZO’s fully automated stability function makes use of an internal backlight sensor to quickly stabilize the brightness level at startup and to compensate for fluctuations caused by variations in ambient temperature and the passage of time. To ensure the most accurate and consistent shadings possible, EIZO carefully measures and sets every grayscale tone on the production line to offer monitors fully compliant with DICOM Part 14. With a native resolution of 1920 x 1080, the monitor can display original, full HD images in 1920 x 1080 resolution without blurring or distortion. RadiForce monitors are calibrated to comply with DICOM Part 14 to offer rendering consistency over time. The color, hue, saturation, brightness, contrast, temperature and tones of the display can be adjusted to best fit the physician’s color preference. With Picture-in-Picture (PiP), Picture-and-Picture (PaP), and Picture-on-Picture (PoP) functions, different data sources, e.g. archived images or patient data can be reviewed simultaneously during an operation. Engineered to dissipate heat without a fan, thus keeping distracting noises and circulation of dust and germs out of the operating room while ensuring the controlled laminar airflow remains undisturbed within the room. EIZO offers multiple input signals to allow connections with both legacy and state-of-the-art endoscopic systems without the need of other optional devices or costs. With loop-through output support, the monitors are also ideally suited for multi-monitor integration or archiving in the operating room. The panel protector secures the screens from scratches, damages and liquids and alleviates cleaning and disinfection of the front surface. RadiForce monitors meet the strictest medical, safety, and EMC emission standards. *Require use of D-Sub mini 15 pin to (up to 5) BNC adapter cable.